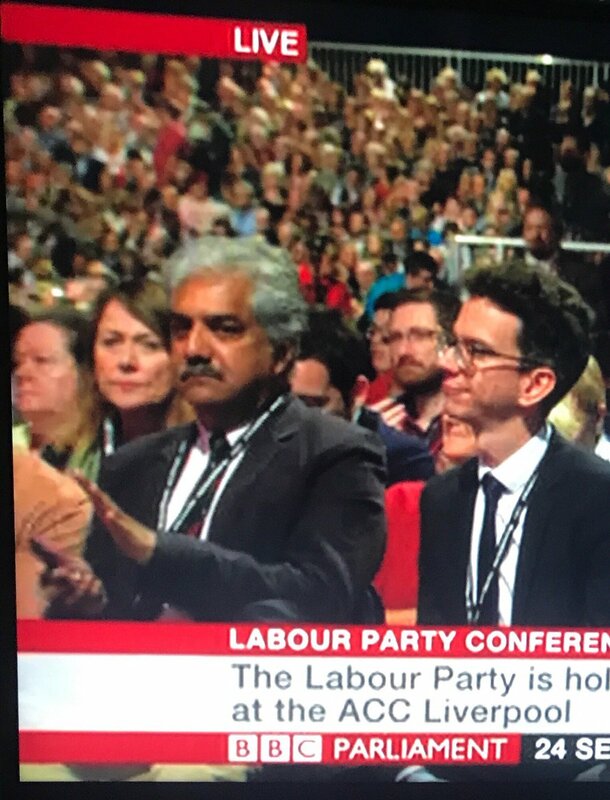 Tariq Ali Joins the Labour Party. Those not familiar with the history of the British left may recall Lord Ali. He was once a leading figure of the International Marxist Group. The only thing I can recall about it is his support, and I agree with him on this, for the legislation of cannabis, ( his application to join the Labour Party in Crouch End was refused, though one may relate the things,….. I am not sure). Since those halcyon days he has been after many political peregrinations, a prominent supporter of the Liberal Democrats, and most, recently, a voter for the Green Party in his previous domain Highgate. In his new new estate, Islington, tofu toff Ali had invented himself as Jeremy Corbyn’s oldest friend. Here is another of his oldest mates. « John McDonnell argues for UKIP Voters’ Veto on Labour Brexit Policy. Two years ago I met, for the first time in several years, another IMG member from the 1970s/80s, Piers C and even he was not being allowed join the Labour Party! IIRC, Tariq Ali left the IMG and then applied to join the Labour Party. A very vociferous opponent of him joining was Max Morris, former head of NUT who had resigned from the CPGB a few years previously! No! It’s not irony/surmise and Tariq has been accepted as member of the LP? I met Piers Corbyn at a squatters party in the seventies. He was completely bonkers then. Full of conspiracy theories. I remember Private Eye had a sketch called Tariq Ali Baba and The Forty Thieves of Neasden. Fitting. There was a strong rumour that back many decades ago, an emissary from the upper echelons of Labour offered Tariq Ali a safe Parliamentary seat in an electoral area in which there were enough – ahem – persons of Pakistani heritage to decide the vote one way or the other (this was well before the rise of identity politics in Britain and the likes of Naz Shah) but our hero nobly spurned the offer. Lastly, I owe Tariq Ali a quiet apology for mislaying his lovely poster of Trotsky at the demonstration held to make a fuss about the Red Army marching into Czechoslovakia. Is nobody not reading this site no more? I bet Tariq will come up with a response on his way to the House of Lords…..